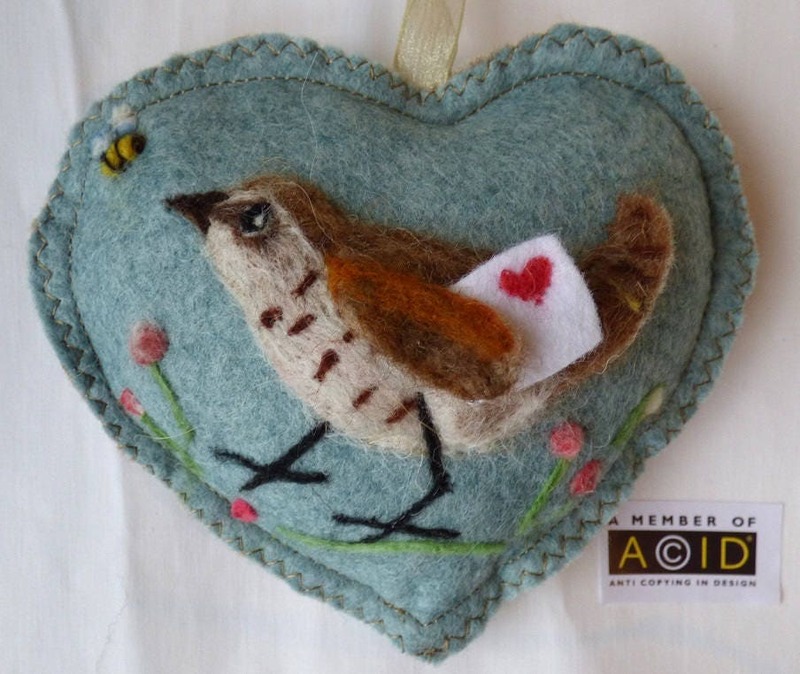 Wren with a love letter - Heart decoration, needle felted bird with bee , felt heart personalised with name. 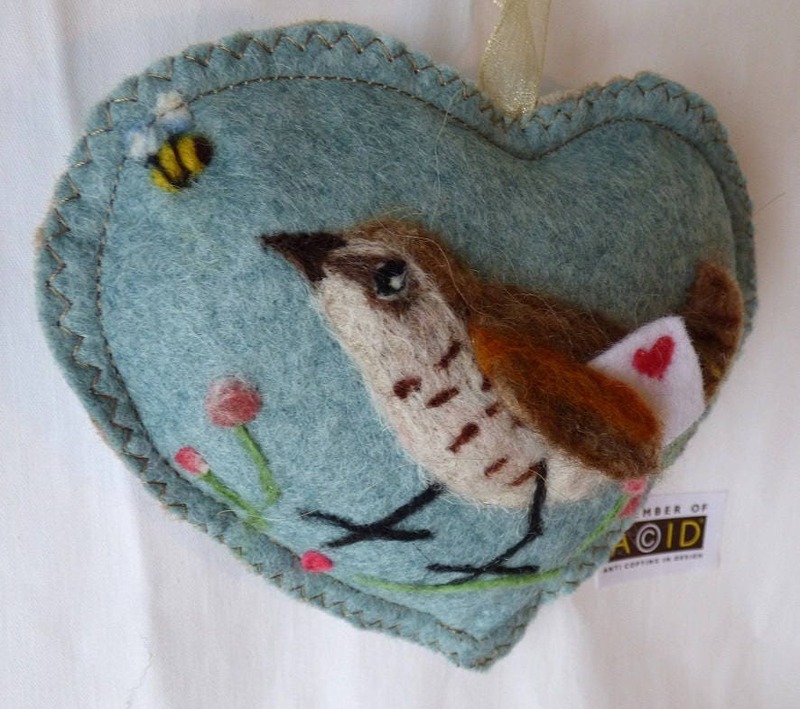 This listing is for the Wren and bee design. 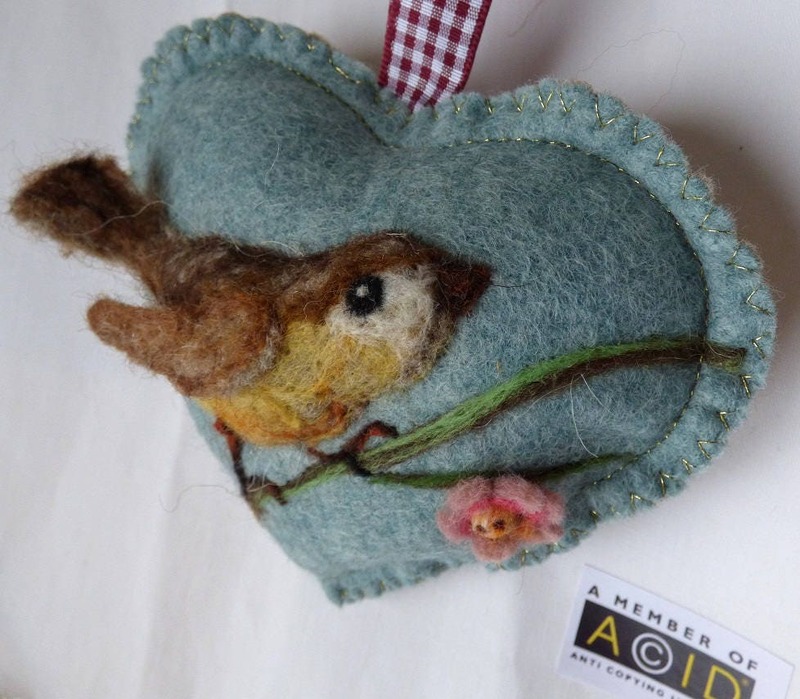 This little bird has a letter to deliver...who can it be for? 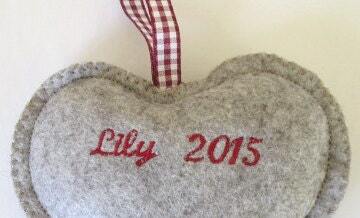 She is asking the way from Bee - I hope she isn't too busy to give directions! 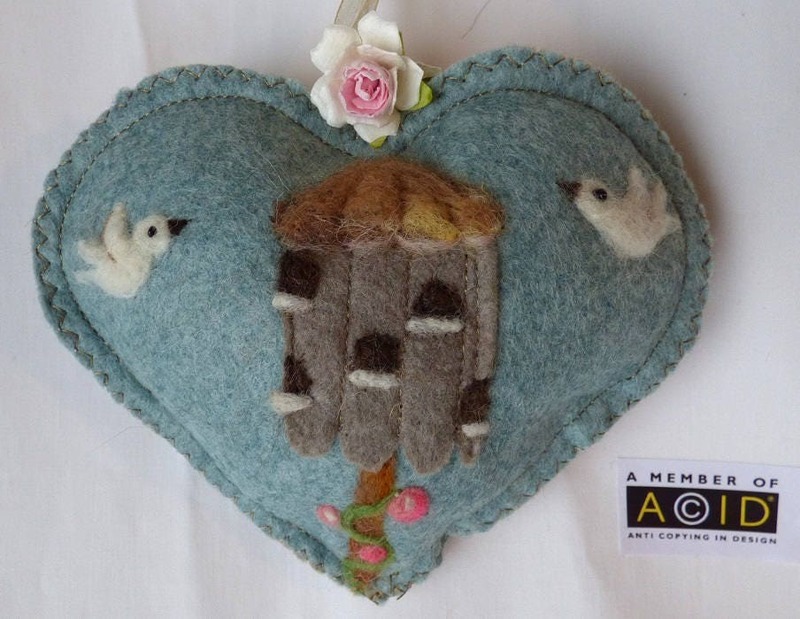 The design is needle felted with Somerset and Scottish wool and the bird is in Full Relief -The wing and body are 3 dimensional making the heart attractive from many angles. 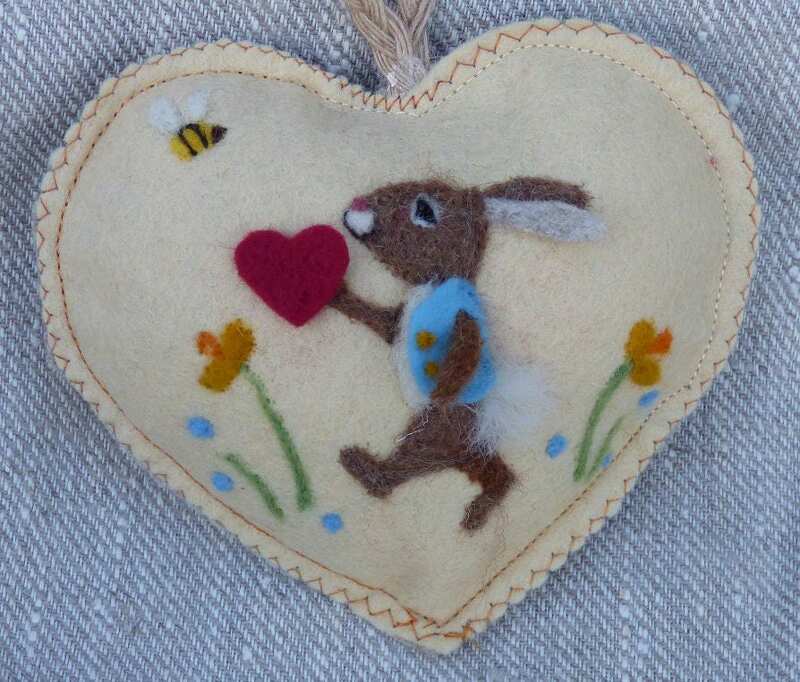 The heart is scented with lavender or I can make it scent free.